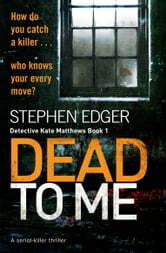 Kate knows a pile of ripped up newspaper cuttings discovered at the victim’s house must be a piece of the puzzle, but her team keep hitting dead-ends... Until she finds a disturbing clue that convinces her of three things: The murder is linked to the body of a man found hanging in a warehouse, she is on the hunt for a calculated serial killer, and the killer is watching her every move. An absolutely NAIL-BITING thriller that will keep you guessing to the very last page. Perfect for fans of Robert Dugoni, James Patterson and M.J. Arlidge. Cracking start to a new series! Absolutely brilliant, fantastic plot, another great thriller. This author is an excellent writer, can’t wait to read more of these thrillers. Kept me guessing right up till the end. Loved it. A great story that keeps you intrigued . 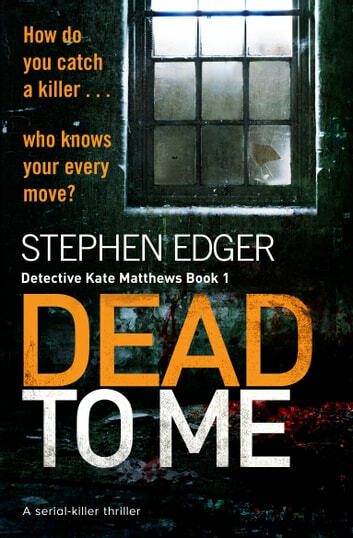 This amateurish effort by Stephen Edger is reason enough for me NOT to purchase the second book in the Kate Mathews series. The writing level is that of a struggling, English literary high school student, with disjointed, unrealistic speech patterns that haven't been heard for fifty years or more. Although we do have the randomly inserted "F" bomb pop up occasionally, for some bizarre reason. Failed verbal verisimilitude perhaps? None of the characters ever uses contractions when speaking; obviously a lack of apostrophes in Edger's lexicon? All character dialogues are so stilted that much of their phraseology had me laughing out loud. And the female protagonist? Oh dear: Insecure and/or in a panic, constantly confused and/or fearful, passive aggressive, capricious, an ineffective people person, and repeatedly and weirdly hugging strangers (even a tradesman she'd met only minutes prior at her door!) as a "thank you", or bursting into tears at every little trauma, even as a senior police officer. Kate's bizarre treatment of her young daughter Chloe during the father's absence was truly reprehensible, and something no caring mother would put her child through. Kate was constantly running out on Chloe, and shoving her off to assorted relatives, acquaintances and an aggressive, unsympathetic child minder. This despite her tedious and oft-stated wishes to better nurture the child, and form a stronger relationship with her. Finally, there is no way I could recommend this book to any avid crime/mystery reader. A doubtful 1/5.